From snow laden highlands to beautiful landscapes, and breathtaking valleys, Gangtok, the capital of Sikkim is nestled in the geographies of Himalayas. 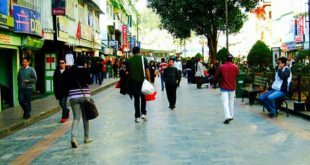 Besides clean streets and luxurious surroundings, Gangtok holds a plethora of places attracting eco-travelers, adventure lovers, honeymoon couples, and history buffs from all across the world. The beauty of Gangtok is matchless and mesmerizing. 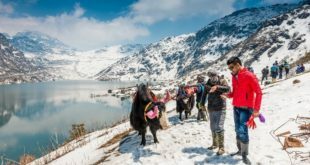 If you are planning a tour to this heavenly place on the Earth, then here we bring you the list of best places to visit in Gangtok that will definitely make you love this place even more! 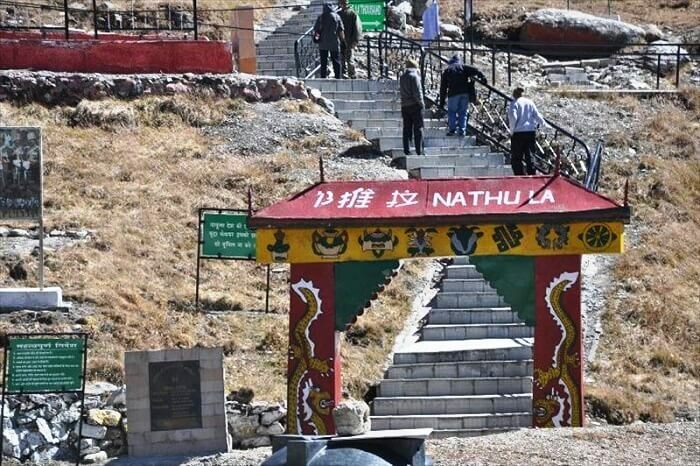 It is a route connecting Sikkim with Tibet and lies at an altitude of 4310 m. In the ancient time, it was also a route of the Silk Route. In order to visit this place, you need to collect the permit from Gangtok. It is the second highest mountain pass delivering spectacular site views. During the course, you can enjoy sighting the stunning Jhakri Waterfalls and Changu or Tsomgo Lake. The Rumtek Monastery is one of the prominent tourist attractions in Gangtok located around 25 kilometers from the east of Gangtok. 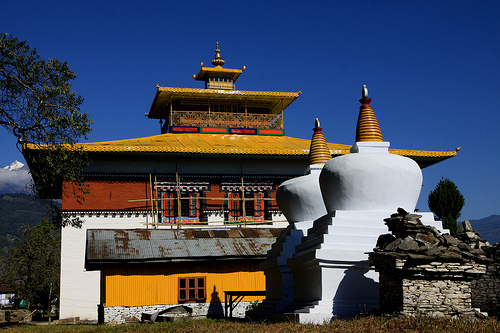 It is the biggest monastery of Sikkim, which was built in 1740 and restructured again in 1979. It hosts a golden stupa containing the 16th Karmapa relics. It is one of the most sacred places for the monks and Buddhists that is backed with majestic waterfalls and beautiful hills. 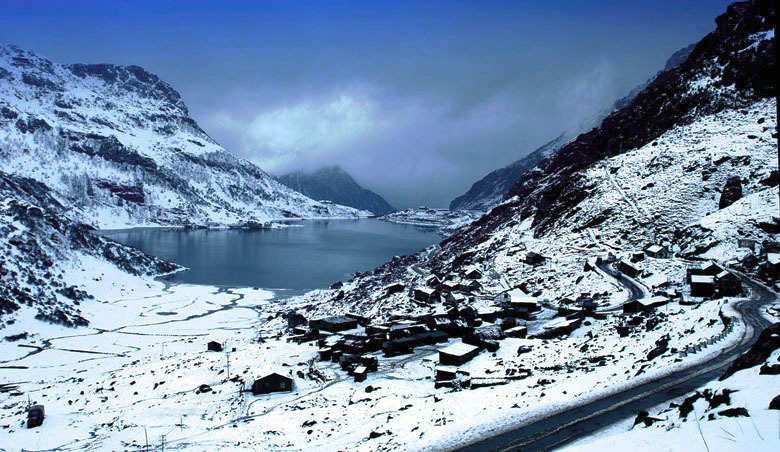 The Tsomgo Lake is placed at a distance of two-hour drive from the Gangtok via the Nathu La Pass. It is a 50 meters deep and 1 km long lake that is not just a tourist point, but also an important holy place among the locals. This lake houses a Lord Shiva temple that adds to the tranquility of this lake. The Do Drul Chorten is one of the best places in Gangtok that is also one of the vital stupas in the entire Sikkim region. 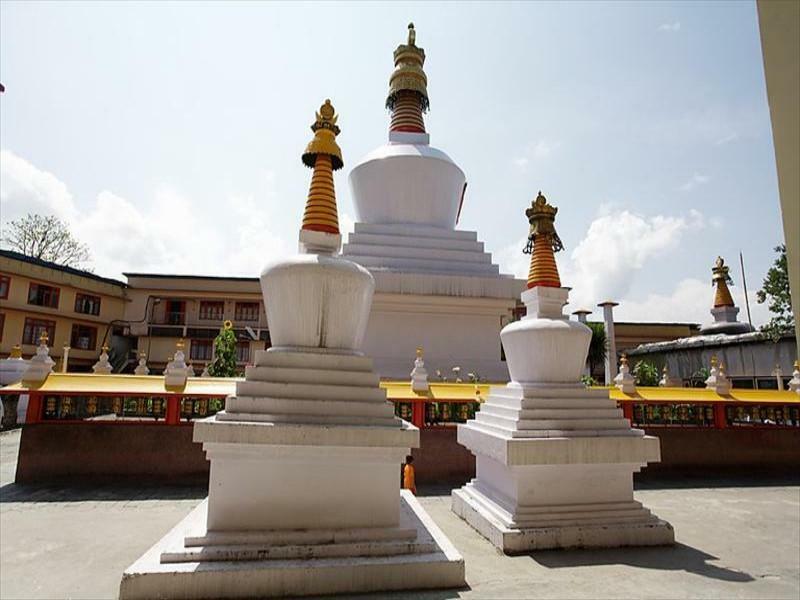 This stupa was constructed in 1945 under the guidance of Late Rimpoche and Truslshi. There are total 108 Mani Lhakor, also known as prayer wheels around the stupa. While the 108 wheels are engraved with the 108 mantras of Buddhism and are equal to the 108 beads of therecital, it is a serene and quiet place that is great for relaxation. Spanned across an area of 2 acres, these are striking falls encompassed by lush greens from all around. There are numerous ethnic sculptures and figures of the jhakri culture built on the falls that add to its beauty. There are well-laid footbridges and pathways all over the water stream that offers aconvenient walk through the falls. The Seven Sister Water Falls is one of the top places in Gangtok that is situated on the Lachung – Gangtok Highway at a distance of 32 kms from Gangtok. 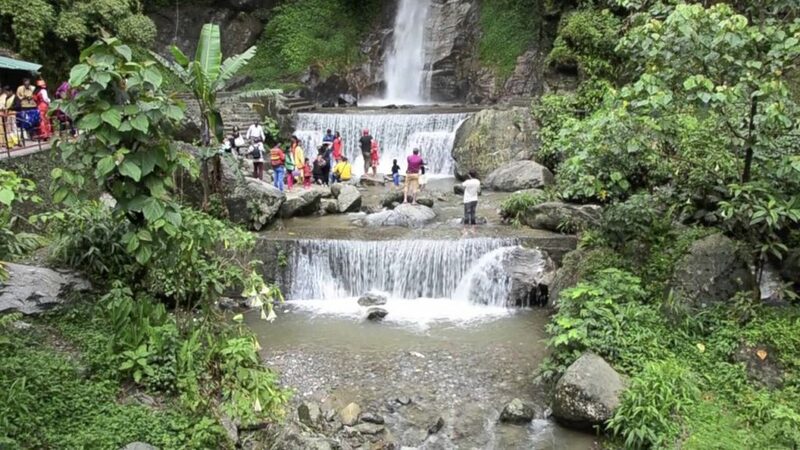 This place gives an awe-inspiring view of seven different waterfalls flowing from the same hill.Besides delivering a serene picturesque view, it is also an excellent picnic spot among the tourists. 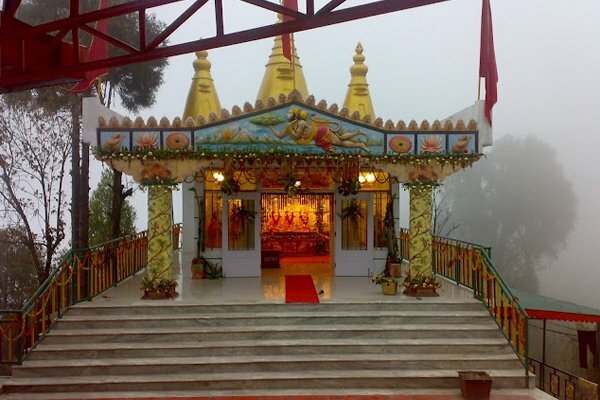 This is a divine place, situated at the upper boundaries of Gangtok. The temple is devoted to the Hindu Lord Hanuman. 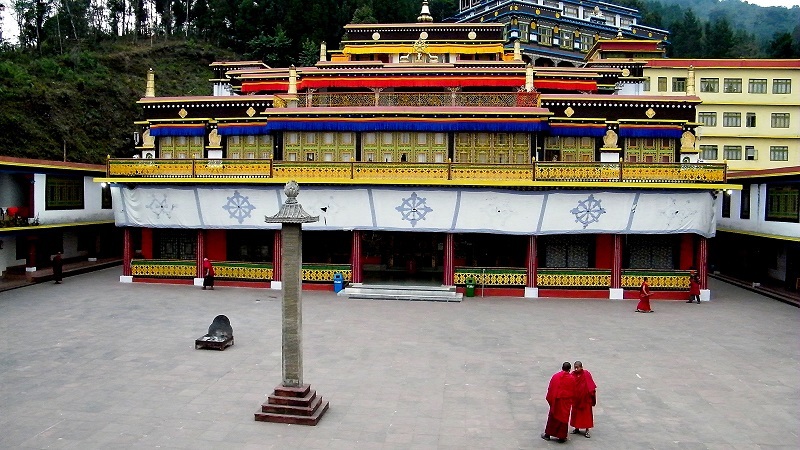 It is a major spiritual place in Gangtok that lies at the heart of various valleys and hills. This temple has a legendary story associated to it according to which Hanuman rest at this place on his way with the Sanjeevani Herb Mountain to save the life of Lakshmana, younger brother of Lord Rama. It is a high-altitude Lake situated at an elevation of 17800 feet in the region. It is one of the biggest lakes in the world that is surrounded by snow-clad mountains from all around. 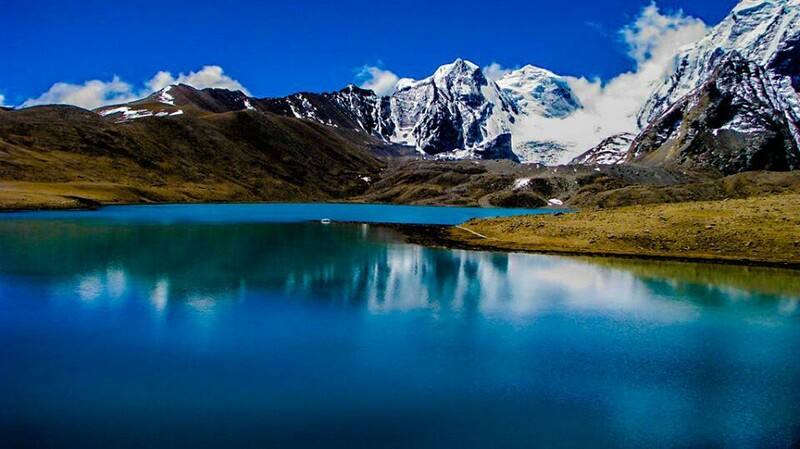 The Lake got its name from Guru Padmasambhava, also called as Guru Dongamr. 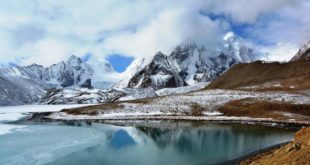 According to the locals, the lake was frozen almost throughout the year and it is after the blessings and prayers of Guru Dongmar that the small part of thelake is never frozen. Another fascinating tourist places in Gangtok is the Singhik Viewpoint that is also called the small town of Sikkim. It is a paradisiacal retreat a few kilometers away from the hush and rush of the cities. It delivers a breathtaking view of the Mt Siniolchu and Kanchenjunga. It is a17th century monastery situated at a height of 6,500 feet from the city. The monastery is devoted to the Nyingmapa order. You can reach there through Geyzing and even enjoy the spectacular views of the River Rathong and River Rangeet. Even there are numerous ancient sculptures engraved on the stone plates. 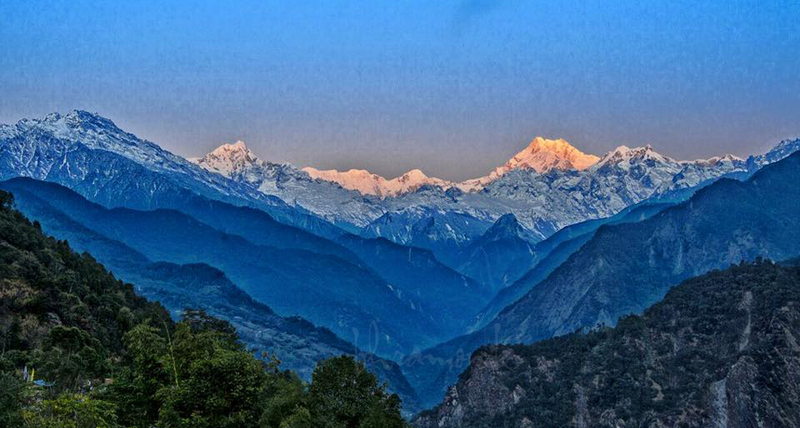 These are 10 top tourist spots in Gangtok, but Gangtok has more to offer. So, just pack your bags and plan a long holiday to enjoy every bit of this exhilarating destination. Really thanks for sharing this useful post !! 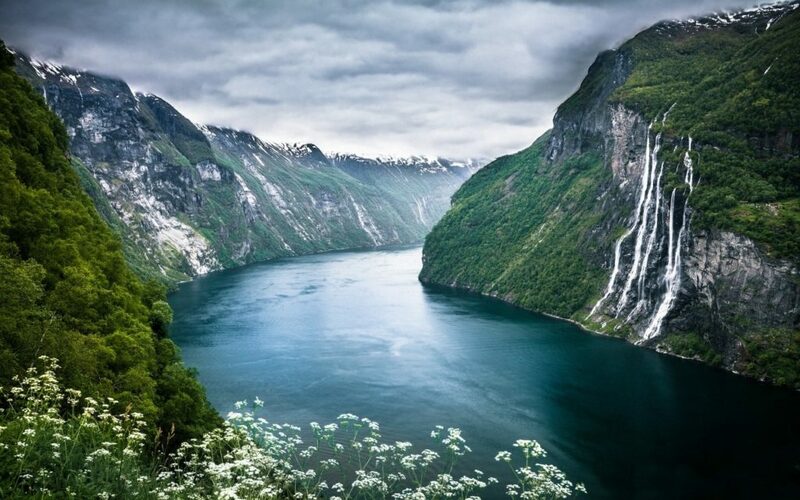 Gangtok is a nice place to visit for holidays and i will definitely visit these places with my friends.